Balcony - €15.00 · Auditorium - €20.00 · Taken · Reserved. 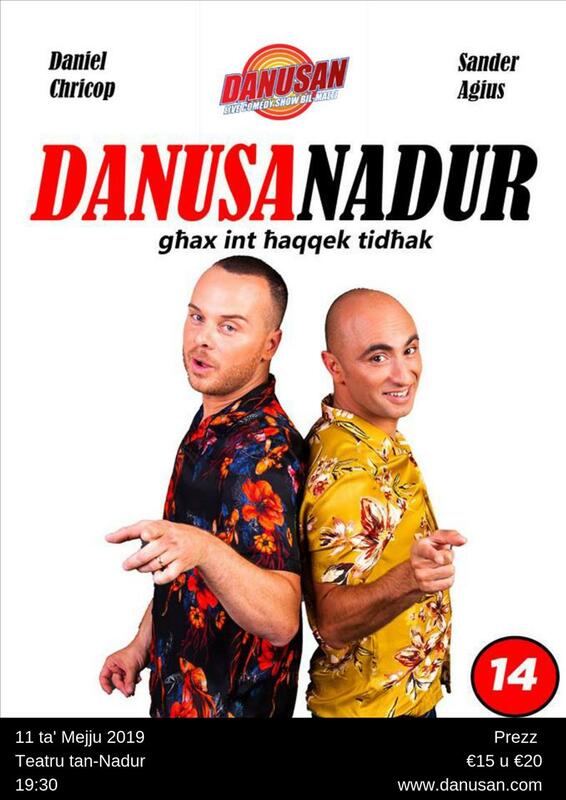 Danusan the comedy duo have performed in this theater way back in 2013. They are working on something special just for Gozo. Don't miss out this amazing performance for a great night out where laughter is the main course.